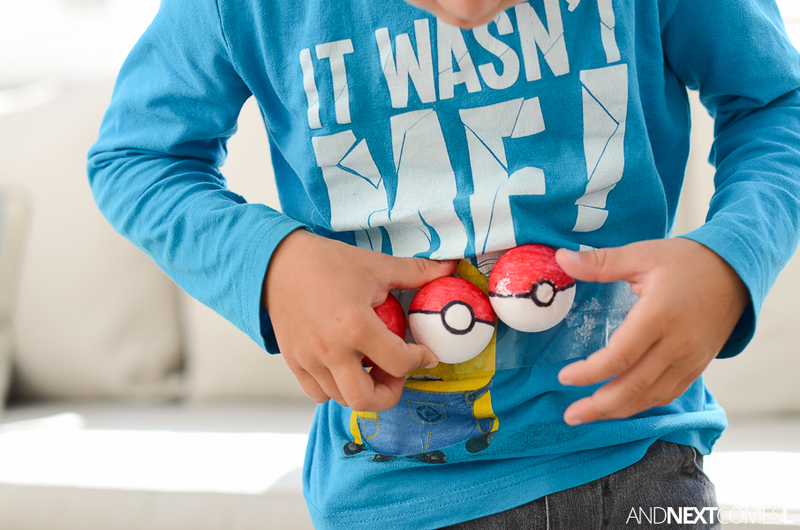 Ever since the kids and I made DIY pokeballs, they have been throwing them around the house trying to capture their little Pokemon figures. Usually, K is trying to carry as many pokeballs as he can manage in his little hands. So I decided to make the kids their own easy homemade Pokemon trainer belts to hold their pokeballs. 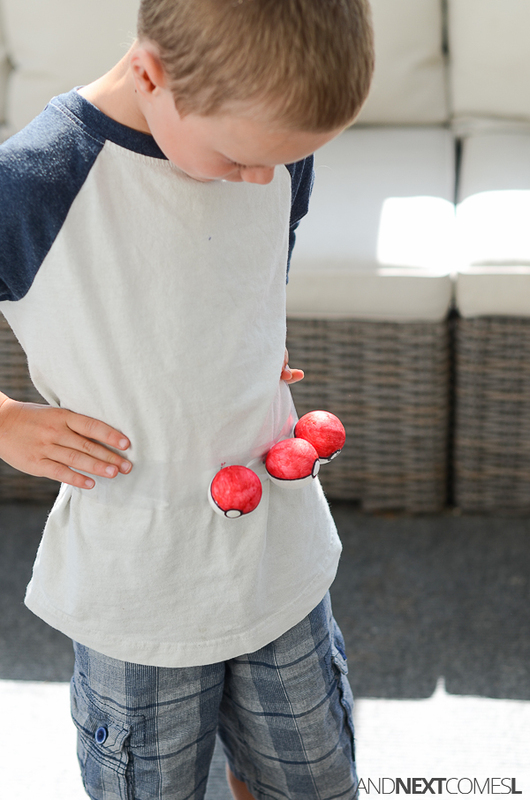 Plus, now they can feel like a legit Pokemon trainer with these pokeballs easily accessible for Pokemon battles around the house. 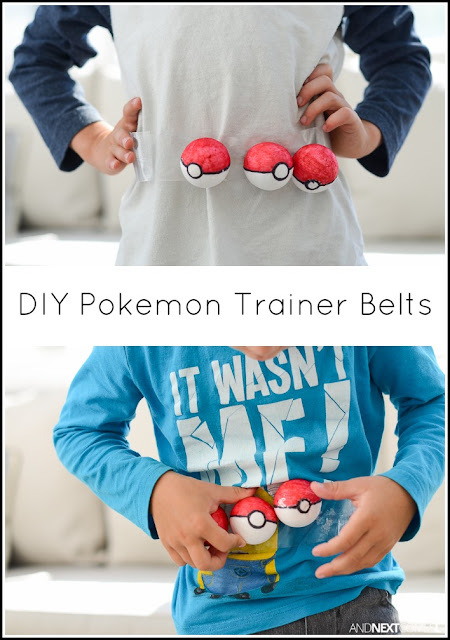 The inspiration for this project is Fireflies & Mudpies' epic dart belt hack for kids. 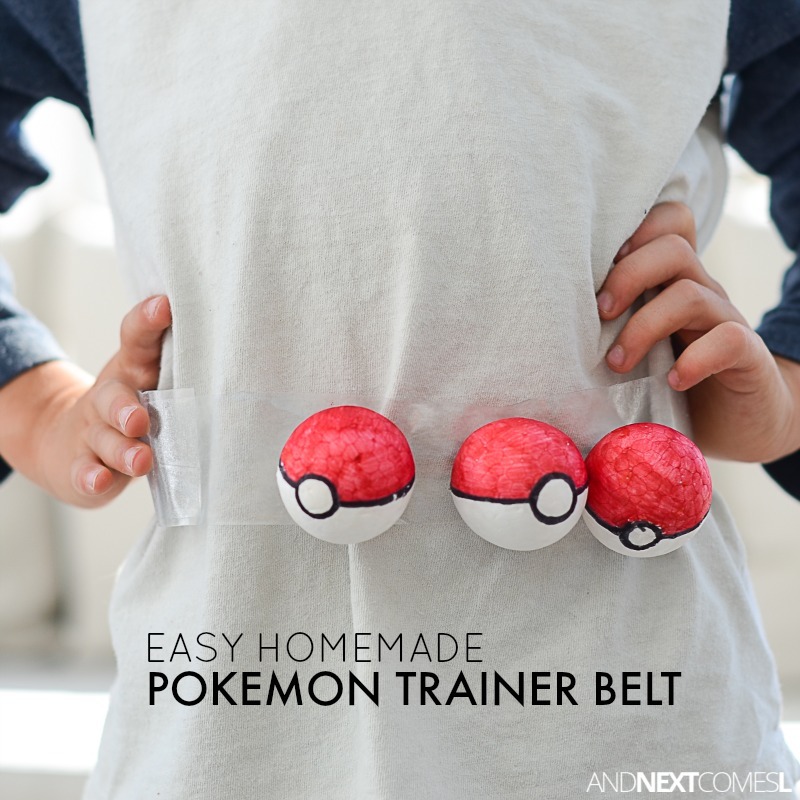 I remember seeing it a few months ago and knew it would be perfect for making Pokemon trainer belts. However, I couldn't find any packing tape in my house so I used clear contact paper instead. I simply cut a strip of contact paper and wrapped it around the boys' waists. Just make sure the sticky side is out! 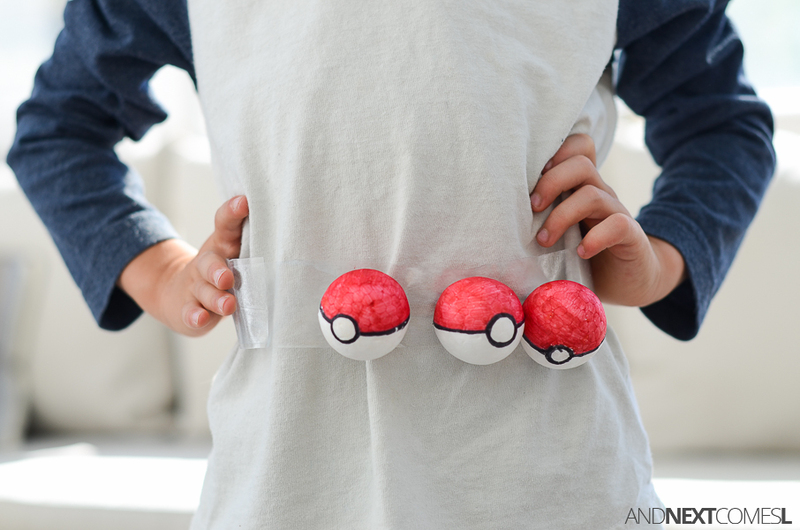 Then our DIY pokeballs stick right to the contact paper. There is one downside, however. The colors of the homemade pokeballs peel off and stick to the contact paper. So you may need to touch up the pokeballs with some Sharpies afterwards. Not a huge deal since it literally takes seconds to touch them up.